We, the members of the Ponca Tribe of Indians of Oklahoma, in order to promote our common welfare and to secure to ourselves and our descendants the rights, powers and privileges offered by the Oklahoma Indian Welfare Act of June 26, 1936 (49 Stat. 1967), do establish this organization and adopt the following Constitution pursuant to the act. The name of this organization shall be the Ponca Tribe of Indians of Oklahoma. (A) All persons of Indian blood who were enrolled or were entitled to be enrolled on the official census roll of the Ponca Tribe as of January 1, 1940, provided that within five years after the adoption of this Constitution the said roll may be corrected by the Business Committee of the Ponca Tribe, subject to approval of the Secretary of the Interior. (B) All children of one-eighth or more Ponca Indian blood born since the date of said roll, one of whose parent is a member of the Ponca Indian Tribe. (C) No person who has the blood of the Ponca Indian Tribe of Oklahoma and who also has the blood of another Indian tribe, and who has received any payments of money or who has received an allotment of land by virtue of having been enrolled with such tribe, shall be eligible for membership with the Ponca Indian Tribe of Oklahoma. SECTION 2. The business Committee shall have power to prescribe rules and regulations, subject to the approval of the Secretary of the Interior, governing future membership including adoptions and loss of membership. SECTION 1. 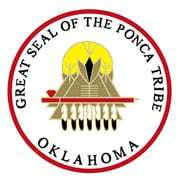 The governing body of the Ponca Tribe of Indians shall be a Business Committee consisting of seven members elected by a vote of the tribal membership. The term of each committee member shall be four (4) years from the date of installation of office. SECTION 2. In case their successor shall not have been duly elected and certified, the term of office of the committee member shall be extended until successors shall have been duly elected and certified. In the event a valid election is not initiated by the election board within thirty (30) days of the regularly scheduled date for such election, the Secretary or his duly authorized representative is authorized to appoint five (5) members of the tribe as a special Election Board who shall call an election to be conducted pursuant to the tribal election ordinance within thirty (30) days of their appointment. The Secretary is also authorized to take this action whenever it is impossible for the tribe to conduct an election for whatever reason. SECTION 3. The Business Committee so organized shall elect from within its own membership (1) a chairman, (2) a vice-chairman, and from within or without, (3) a secretary-treasurer, and may appoint or employ such other officers and committees as may be deemed necessary. SECTION 1. Committee members holding office as of the effective date of this amendment shall serve out their current two year terms. Four year terms shall begin with the first election under this amendment to the Constitution. SECTION 2. A five (5) member Election Board shall be created by electing tribal members on an at-large basis at the first election following adoption of this amendment to the Constitution. The qualifications of Election Board members shall be the same as the qualifications of Business Committee members. No person shall serve on the Election Board and the Business Committee at the same time. (A) The term of office of Election Board members shall be two (2) years or until their successors are duly elected and installed. SECTION 3. Regular elections for the Business Committee shall be conducted by the Election Board on the third Saturday in December during those years in which terms expire, beginning in 1991; provided, that in the event of an emergency such election may be conducted on a Saturday no later than thirty (30) days following the regular election day. Special notice of such changes of election dates shall be given at least 20 days prior to the regularly scheduled election date. Other election notices shall be provided as in the election ordinance. Such elections shall be held at the Ponca Tribal Affairs Building, White Eagle, unless some other point under the jurisdiction of the Ponca Tribe of Oklahoma is specifically designated by the Election Board in the notice. Regular election for the Election Board shall be on the second Saturday in October at a special meeting of the General Council called for such purpose. Members to the Election Board shall be nominated from the floor by the tribal membership every other year beginning in 1991, Voting will be by secret ballot. The five (5) nominees having the greatest number of votes of those tribal members present shall constitute the election board. Officers shall be selected by the election board members at their first meeting. The officers of the Election Board are Chairman, Vice-Chairman, Secretary, and two (2) members whose duties shall be described in the election ordinance. SECTION 4. All tribal elections shall be by secret ballot conducted pursuant to an election ordinance adopted by the Election Board and approved by the Business Committee. SECTION 5. The Election Board shall certify the results of all tribal elections within five days after the election has been held or a properly filled protest resolved, if any. In the event protests are not resolved, they shall be referred to the Ponca Tribal court. Or other forum of competent jurisdiction which all conduct a judicial review on the record of the proceedings before the Election Board and shall render a decision which shall be final and may not be further appealed. SECTION 6. All members of the Ponca Tribe of Indians eighteen years of age or over are eligible to vote. SECTION 7. The duly elected Business Committee members shall be installed in office at the next regularly scheduled Business Committee meeting. Election Board members shall be installed immediately following their election by a tribal member designated by the Business Committee. SECTION 1. If a Business Committee or Election Board, as applicable, member shall die, resign, be suspended or recalled by a vote of the Ponca Tribal membership, or shall be found guilty of a felony by any Court of competent jurisdiction following all appeals, or a misdemeanor involving dishonesty, moral turpitude, or of accepting a bribe, or moves away from Kay or Noble County or fails to attend three (3) consecutive Business Committee or Election Board meetings, as applicable, without proper cause, the position shall be deemed vacated and the Election Board shall call an election for filling the unexpired term. SECTION 2. The Business Committee by four (4) affirmative votes may suspend any committeeman for neglect of duty or gross misconduct in relation to his duties or official duties. Before any vote for suspension is taken the accused shall be given a written statement of the charges against him at least five (5) days before the meeting at which he is to appear and must be given an adequate opportunity to answer any and all charges at such Business Committee Meeting. (A) a committeeman is suspended by the Business Committee, it shall by the duty of the Election Board to call a recall election to determine whether the committeeman should be expelled from the Business Committee. SECTION 3. Upon receipt of a valid petition signed by at least one-third (1/3) of the eligible voters of the Ponca Tribe of Indians calling for the recall of any member of the Business Committee, it shall be the duty of the Election Board to call and conduct, within thirty days, a special election to consider the petition. Only one (1) official shall be subject of any given recall petition. If a majority of those actually voting shall favor the recall of a member of the Business Committee, the office shall be declared vacant and the Election Board shall call an election to fill the vacancy for the unexpired term. An election official shall only be subjected to recall proceedings once during any year. (A) In the event a recall election is not initiated by the election Board within thirty (30) days of receipt of a valid recall petition, the Secretary or his duly authorized representative is authorized to appoint five (5) members of the tribe as a special Election Board who shall conduct an election pursuant to the tribal election ordinance within thirty (30) days of their appointments. SECTION 1. The regular meetings of the Business Committee shall be held on the first Tuesday of February, May, and November, unless otherwise provided by resolution. SECTION 2. Special meetings of the Business Committee may be called by the chairman at his discretion and shall be called by him upon the written request of three members of the Business Committee. SECTION 3. Annual meetings of the tribal membership shall be held on the third Saturday in November for the purpose of receiving reports and transacting any other business which may come regularly before the tribe. SECTION 4. Special meetings of the tribe may be called at the discretion of the chairman and shall be called by him upon the written request of a majority of the Business Committee or upon the written request of twenty-five members of the tribe, provided, that at least ten days’ notice shall be given in each instance. SECTION 5. The principal object of a special tribal meeting must be stated in the notice and may include the words “and for the transaction of any other business that may be presented.” Unless these words are added no other business can be transacted except for the object stated in the notice. SECTION 1. All members of the Ponca Tribe of Indians of Oklahoma shall enjoy without hindrance, freedom of worship, conscience, speech, press, assembly, and association. SECTION 2. This Constitution shall not in any way be construed to alter, abridge, or otherwise jeopardize the rights and privileges of the Ponca Tribe as citizens of the State of Oklahoma or of the United States. SECTION 3. The individual vested property rights of any member of the Ponca Tribe shall not be altered, abridged, or otherwise affected by the provisions of this Constitution without the consent of such individual members of the tribe. SECTION 1. The governmental powers of the Ponca Indian Tribe of Oklahoma, a federally recognized sovereign Indian Tribe, shall, consistent with applicable federal laws, extend to all persons, and to all real and personal property including lands and other natural resources, and to all waters and air space, within the Indian Country over which the Ponca Indian Tribe has authority. The governmental powers of the Ponca Indian Tribe shall, consistent with applicable federal laws, also extend outside the exterior boundaries of Ponca Indian Country to any person, or property which are or may hereafter be, included within the jurisdiction of the Tribe under any laws of the United States or of the tribe. SECTION 2A. The Ponca Business Committee shall be authorized to exercise all executive, legislative, and judicial powers of the Tribe including such powers as may in the future be restored or granted to the Tribe by any laws of the United States or other authority. The Ponca Business Committee may, if it deems appropriate, establish a Tribal judicial system to which may delegate some or all the judicial power of the tribe. SECTION 2B. All law and order ordinances adopted by the Ponca Business Committee pursuant to this Article shall be approved by the Secretary of the Interior before they are effective unless otherwise provided by applicable law. SECTION 3. This Constitution and the laws enacted by the Ponca Business Committee shall be the supreme law of the Ponca Indian Tribe and all persons subject to its jurisdiction; however, the Business Committee shall exercise its power consistent with the provisions of this Constitution and federal law. SECTION 4. In addition to the powers authorized by Section 2 of the Article, the Ponca Business Committee shall be authorized to exercise those powers set forth in the Tribe’s corporate charter issued by the Secretary of the Interior under the Oklahoma Indian Welfare Act. Amendments to this Constitution may be proposed by four (4) affirmative votes of the Business Committee or by petition signed by at least twenty-five percent (25%) of the adult members of the tribe, and if approved by the Secretary of the Interior, shall be submitted to a referendum vote of the adult members of the tribe, and shall be effective if approved by a majority vote. SECTION 1. Chairman - The chairman shall preside at all meetings of the tribe and of the Business Committee. He shall have general supervision of the affairs of the tribe and of the Business Committee and shall perform all duties pertaining to the office of chairman. SECTION 2. Vice-Chairman – In the absence of incapacity of the Chairman, the vice-chairman shall perform the duties of the office. In the case of vacancy in the office of chairman, the vice-chairman shall succeed at once to the office of chairman, until the next special or regular election for the office of chairman, when the Business Committee shall organize itself in accordance with Article III, Section 3, of the Constitution. SECTION 3. Secretary-Treasurer – The secretary-treasurer shall keep an accurate account of all proceedings and official records of the tribe and of the Business Committee. He shall make out the order of business for the chairman, shall notify all committees of their appointments and shall have custody of the records and all tribal papers. All official records of the secretary-treasurer shall be available for inspection in the presence of the secretary-treasurer to any member of the tribe. He shall keep a correct list of all the members of the tribe, shall certify all accounts or orders of the tribe and of the Business Committee, and in the absence of the chairman and vice-chairman shall call the meeting to order until a chairman pro tem is selected. He shall render a written report at the regular meeting of the Business Committee and at the annual meeting of the members of the tribe. At the expiration of his term of office he shall turn over the records, papers, and tribal funds in his possession to his successor. He shall issue notices of meetings and conduct general correspondence as directed by the tribe or by the Business Committee. He shall receive all monies of the tribe and keep an accurate account of receipts and disbursements. The secretary-treasurer shall keep all tribal monies entrusted to his care in a special account and shall disburse such funds only upon written request of the Business Committee. Disbursements shall be by check. At any time that such an account shall amount to more than $50.00 he shall file a bond satisfactory to the Business Committee and to the Commissioner of Indian Affairs. The cost of such bond shall be paid out of tribal monies. 6. Not have received a dishonorable discharge from the United States Armed Forces. All regular and special meetings of the tribe or the Business Committee shall be held at the Ponca sub-agency unless some other point is designated in the call or notice. SECTION 1. Four members of the Business Committee shall constitute a quorum to transact business at any meeting. Each member of the Business Committee shall sign his name in his own handwriting signifying his presence at each meeting. SECTION 2. Fifty adult members of the Ponca Tribe shall constitute a quorum at tribal meetings to transact business. SECTION 1. A five (5) member Economic Development Authority shall be established and shall be known as the “Ponca Tribal Economic Development Authority.” The initial members of the Authority shall be appointed by a majority vote of the members of the Business Committee, a quorum being present. Thereafter, Economic Development Authority members shall be elected from the floor by vote of tribal members at the annual meetings of the tribal membership. The chairman of the Tribe or a designated representative shall serve on the Economic Development Authority. The qualifications of members of the Economic Development Authority shall be the same as the qualifications of the Business Committee members. At the annual meeting of the tribal membership an annual meeting of the Economic Development Authority shall be held in order to report the activities of the Authority and to transact any other business that may be presented. Terms of office shall be for two (2) years or until successors are duly elected and installed. SECTION 2. A policy and procedures manual shall be adopted by the Business Committee to govern the duties and activities of the Authority. This manual shall include, but not limited to, provision covering duties, scopes of activity, filling vacancies and meetings. All business of the Authority shall be conducted in accordance with the terms and provisions of the policy and procedures manual. SECTION 3. 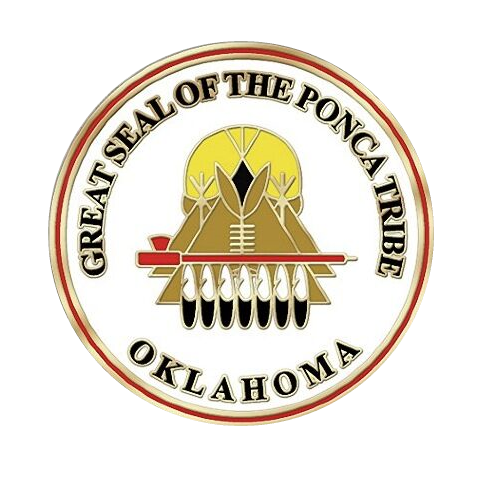 The purpose of the Ponca Economic Development Authority is to promote the economic well-being of the tribe and tribal members by engaging in research and business development activities and assisting in the establishment of and operation of business enterprises in furtherance of the goals of job creation and economic advancement with the area subject to the government powers of the Ponca Tribe. This Constitution shall be effective when approved by the Secretary of the Interior and ratified by a majority vote of the members of the Ponca Tribe of Indians of Oklahoma voting at an election called by the Secretary of the Interior under rules and regulations prescribed by him pursuant to Section 3 of the Oklahoma Indian Welfare Act of June 26, 1936 (49 Stat. 1967), provided that at least thirty percent of the eligible voters vote in such election. I, William E. Warne, Assistant Secretary of the Interior of the United States of America, by virtue of the authority granted me by the act of June 26, 1936 (49 Stat. 1967), do hereby approve the attached Constitution and Bylaws of the Ponca Tribe of Indians of Oklahoma. Pursuant to an order, approved May 23, 1950, by the Assistant Secretary of the Interior, the attached Constitution and bylaws was submitted for ratification to the members of the Ponca Tribe of Indians of Oklahoma and on September 20, 1950, duly adopted by a vote in 129 for and 24 against, pursuant to Section 3 of the Oklahoma Indian Welfare Act of June 26, 1936 (49 Stat. 1967), and the regulations of the Secretary of the Interior, as modified in a memorandum to the Commissioner of Indian Affairs date April 6, 1951.